Enjoy the top 12 famous quotes, sayings and quotations by Linda McMahon. I don't know Gov. Palin. I've certainly seen her, since she came on the scene, you know, running with John McCain. I have said from the beginning, I would spend what it would take for the people of Connecticut to know who I am and what I stand for. 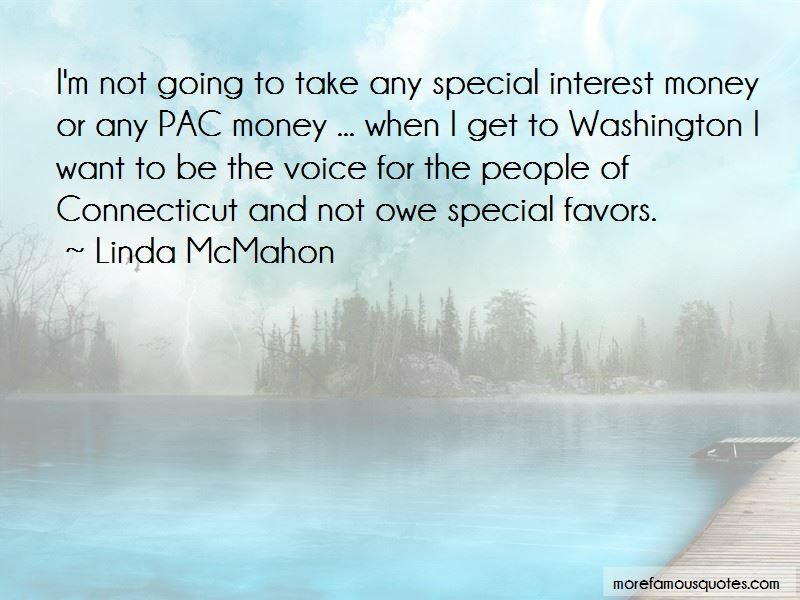 I'm not going to take any special interest money or any PAC money ... when I get to Washington I want to be the voice for the people of Connecticut and not owe special favors. Want to see more pictures of Linda McMahon quotes? 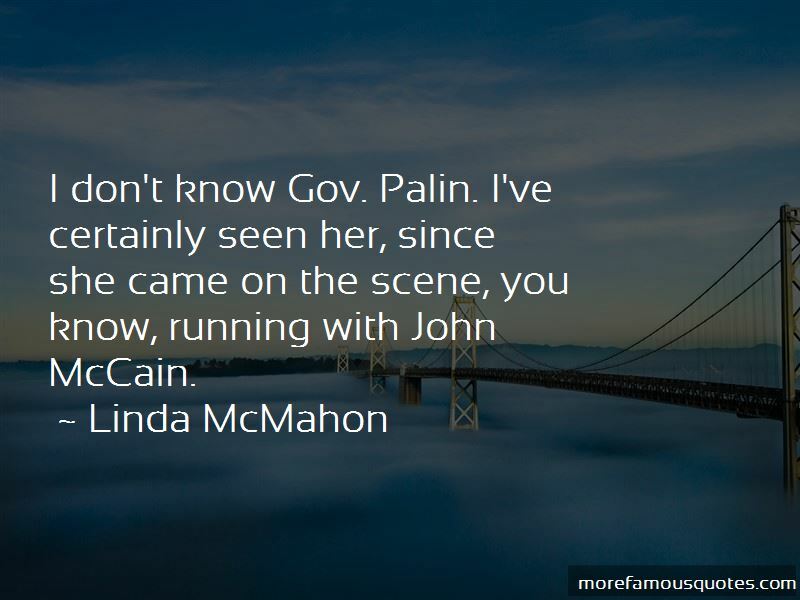 Click on image of Linda McMahon quotes to view full size.